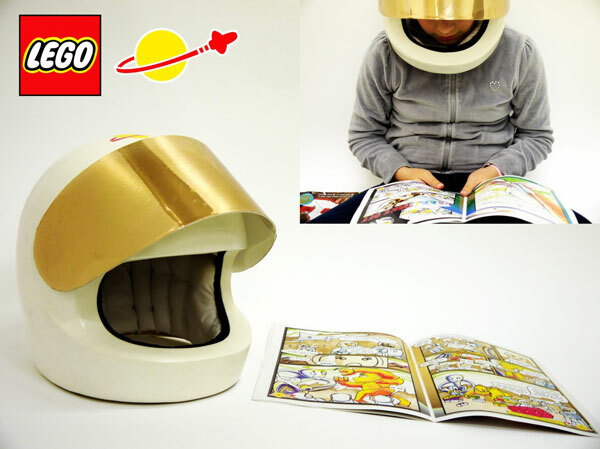 Jonathan Robson’s custom life-sized LEGO helmet reads comic books so you don’t have to. A USB drive pops into the back of the helmet that plays the audio content from comic books. You can see the full feature on Engadget. Thanks for the tip [Dablackcat]! Cynical me would say that it’s an ill age when kids don’t even have to read comic books any more… Back in my youth (not that long ago, BTW) I read actual books(!) containing more than a hundred pages(!) with no pictures(!) except on the cover! Any kid with that helmet on would certainly have to get off my lawn!! !